Protactinium is one of the rarest and most expensive naturally occurring elements. It is found in the form of two isotopes �" 231Pa and 234Pa, with the isotope 234Pa occurring in two different energy states. In 1890, Mendeleev, the creator of the first version of the periodic table of elements, predicted the existence of an element between thorium and uranium. In 1900, William Crookes isolated protactinium as a radioactive material from uranium, but he did not identify it as a new element. 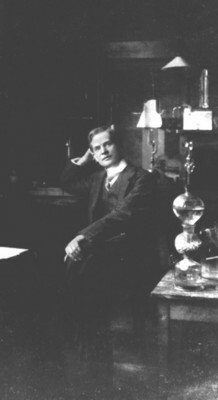 Protactinium was first identified in 1913, when Kasimir Fajans and O. H. Gohring encountered the short-lived isotope 234m-Pa (half-life of about 1.17 minute), during their studies of the decay chain of 238-U. They called it brevium because of its short half-life. 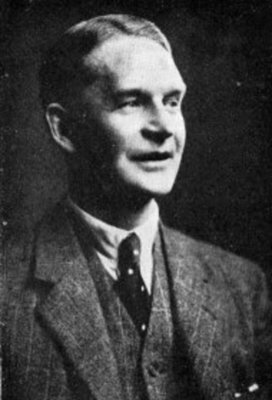 "He was the only Scot of his time to discover a new terrestrial element." 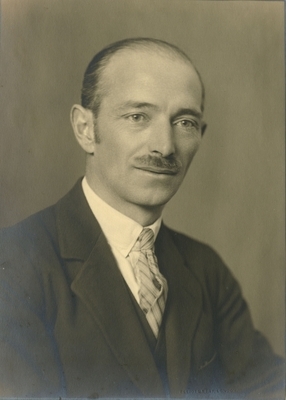 Cranston discovered a more stable isotope of protactinium, 231-Pa which has a longer half-life of around 32,000 years, in 1915. 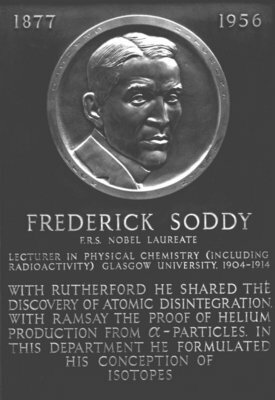 He did not announce his discovery before he went to fight in France during the First World War and during his absence Soddy further explored the element and published the results in 1918. At the same time, independently, two scientists in Germany, Otto Hahn and Lise Meitner, also published their work on 231-Pa. 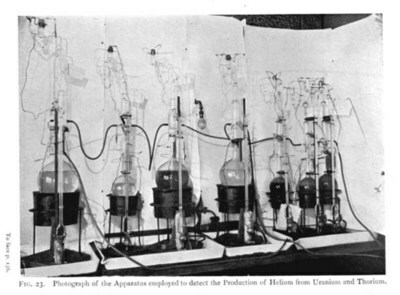 The name of the element was changed from brevium to protoactinium in 1918 and then to protactinium in 1949. The new name meant "before actinium" and reflected the fact that actinium is a product of radioactive decay of protactinium. Protactinium is currently supplied to various laboratories for scientific studies. Obituary. 1972. Glasgow University College Courant. 24: 49: 50. 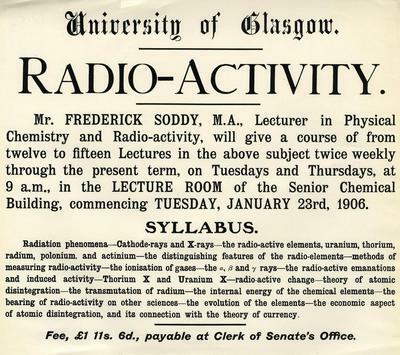 World Changing Project, "Discovery of Protactinium," in University of Glasgow World Changing (University of Glasgow, 2010); http://www.worldchanging.glasgow.ac.uk/article/?id=37 (accessed April 26, 2019). World Changing Project. "Discovery of Protactinium." In University of Glasgow World Changing. 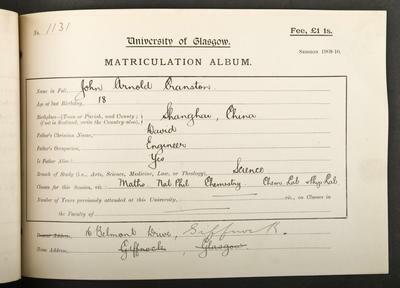 University of Glasgow, 2010. http://www.worldchanging.glasgow.ac.uk/article/?id=37 (accessed April 26, 2019). World Changing Project. "Discovery of Protactinium." University of Glasgow World Changing. University of Glasgow, 2010. 26 April 2019 <http://www.worldchanging.glasgow.ac.uk/article/?id=37>.